Empress of China 武媚娘传奇 is an 82-episode Chinese historical drama about Wu Ze Tian, the only female ever to rule China as an emperor. One line sums up the entire series but Wu Ze Tian's rise to political power in a male-dominated society that even today is still dominated by men is truly one for the ages. 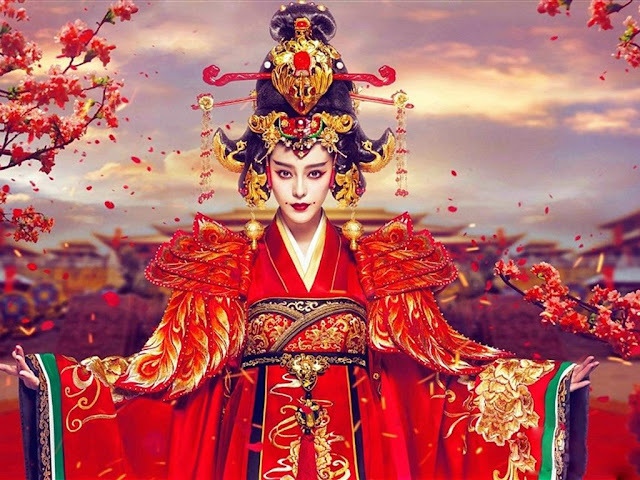 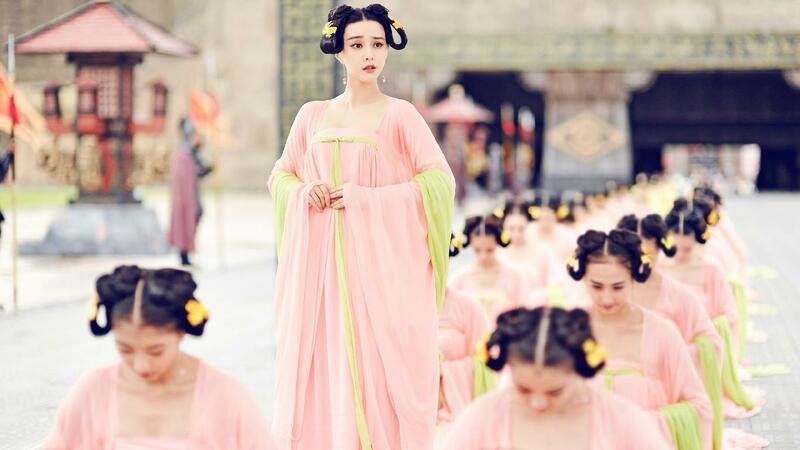 Fan Bing Bing lands the coveted role of Wu Ze Tian, further establishing her status as one of China's top stars. I still remember her humbler beginnings as Zhao Wei's handmaiden in Princess Pearl, yet no one puts Fan Bing Bing in a corner these days since 2014 has been a particularly spectacular year for Fan who even earned a stint as Blink from the Hollywood blockbuster movie X-Men Days of Future Past. 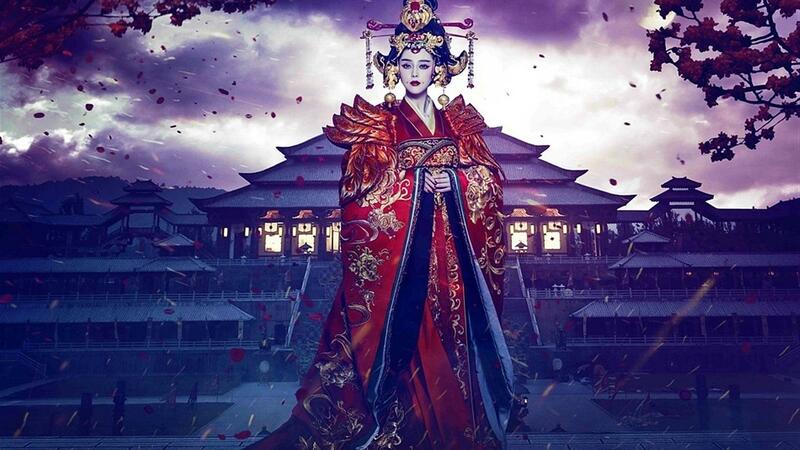 Empress of China came and went, breaking records along the way and its original soundtrack which has been replayed over the span of many episodes are likely to remain in our cherished memories. 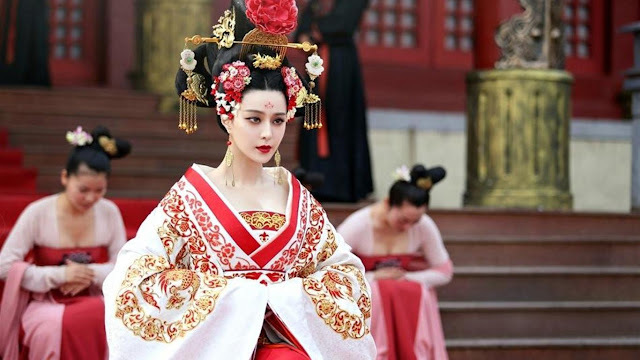 Since I'm having a bout of nostalgia, one thing that's worth mentioning are the beautiful costumes crafted in such rich detail that encapsulates the magnificent splendor of the era. 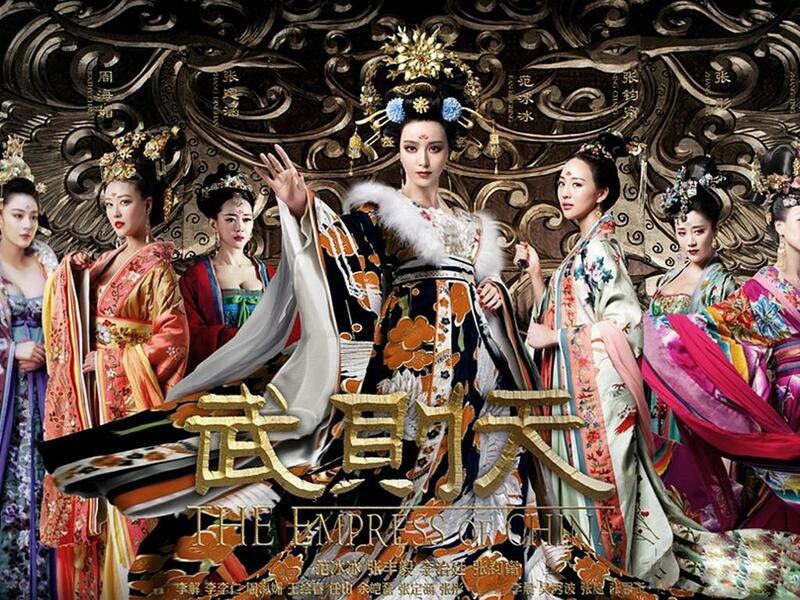 It feels outrageously expensive because it is and it seems well worth the effort since the cast looked positively royal. 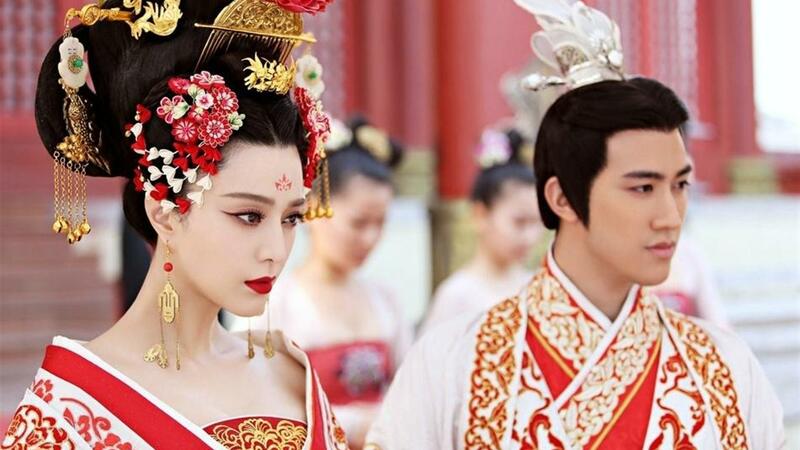 There are two versions of the drama - the non-censored version aired in Taiwan (CTV) and edited version in China without the plunging necklines. 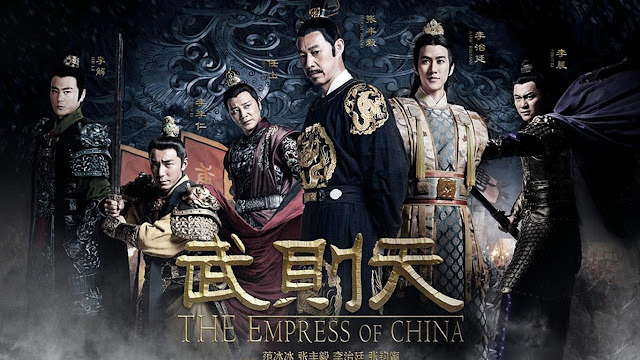 I normally wouldn't care but it was pretty funny given that I was watching this on Hunan TV when it first came out in all its former glory and the next thing I knew, head shots. 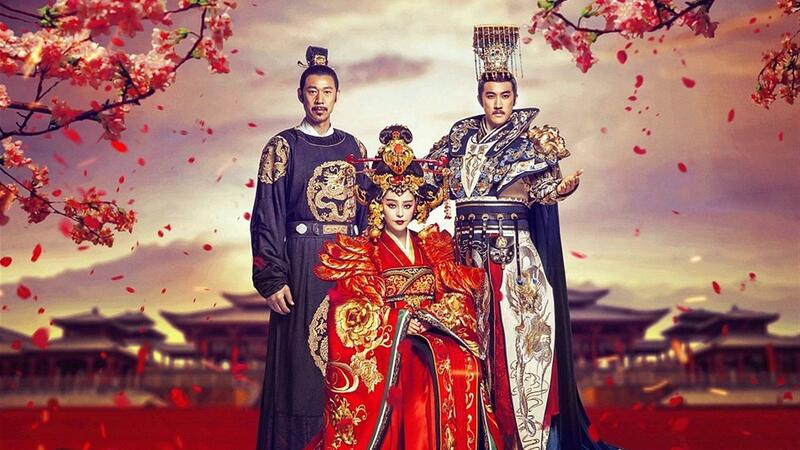 For synopsis, cast and ratings, see 2015 popular cdramas.